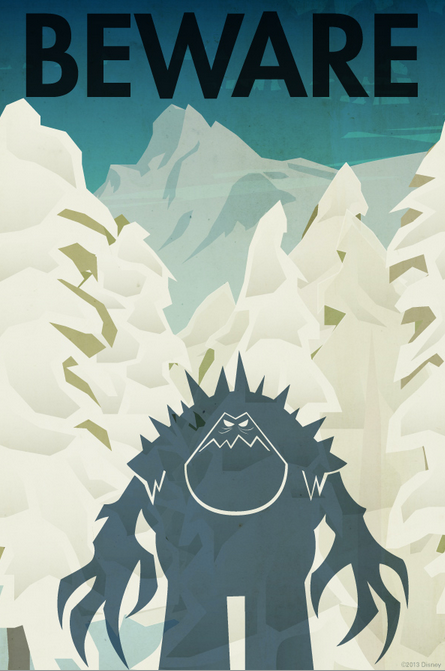 Disney has released some fun vintage travel posters for its new film Frozen. 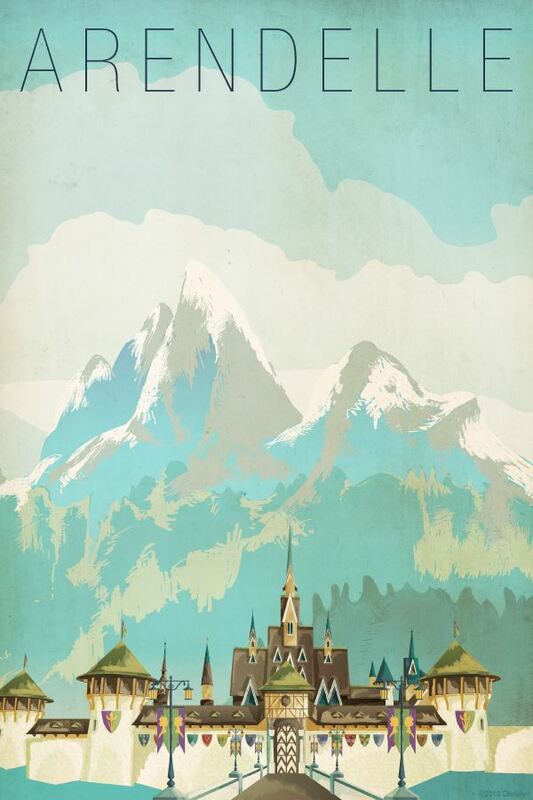 The posters seem to be inspired from the vintage travel posters from the 1950s, but instead of advertising real-life countries, they promote visiting Frozen‘s kingdom of Arendelle! 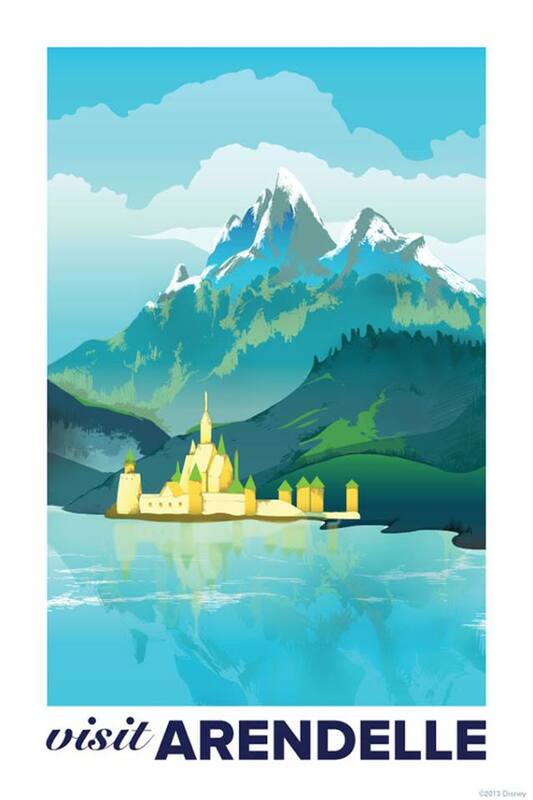 Three of the four posters feature the kingdom of Arendelle and its castle. 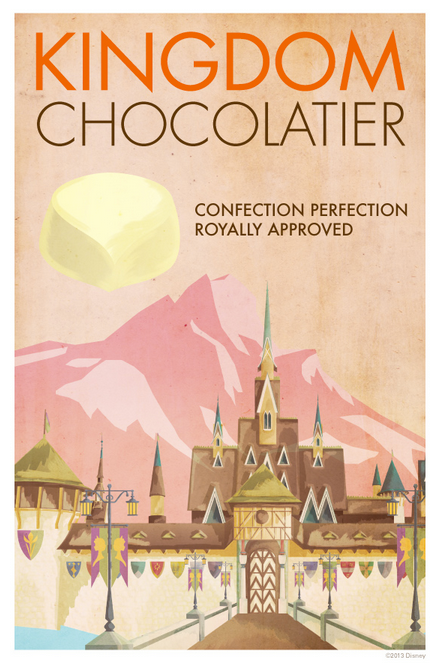 One says “Kingdom Chocolatier”, which really doesn’t make any sense unless you’ve seen the movie (Anna and Elsa are obsessed with chocolate). Either ways, it’s still pretty to look at. 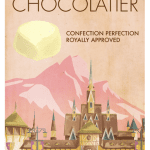 The last poster has the words “Beware” and shows a stylized Marshmallow, which is the snow guard Elsa creates to protect her from intruders. I think this concept is really cute and clever. The posters are gorgeous and I wish there was somewhere to buy full-size versions of these because I would definitely put them on my wall. They actually are a great size to use for your smartphone wallpapers (I have the first one as mine!). Check out the posters below. Which poster is your favorite? Frozen opens in theatres November 27, 2013.